Web development has come quite a long way since the creation of the very first website back in 1989. Fifteen years later businesses began to get restless, demanding more tools in order to manage their websites even though the majority of development was still handled on live servers via FTP. By 2010 “DevOps” practically turned into a household world and fast forward to today and pretty much any Joe Schmo can pop out a beautiful, fully functional website with the help of the various CMS options out there such as WordPress. Trends come and go, but the truth remains that regardless of their non permanency, we must remain vigilant in staying ahead of them in order to stay competitive in today’s digital landscape. So, what does 2019 hold for us when it comes to web development? If that is a question you’re interested in, then look no further than these next few lines. Okay, so these guys have quite a reputation and are definitely a trend your business needs to be considering when it comes to expanding your digital presence. Progressive Web Apps, also referred to as PWAs, are relatively new to the scene, only coming to the forefront of web development a few years ago, and they are making a huge impact in 2019. So, what exactly are they besides those little home screen icons you get to download onto your phone? PWAs are a CMS framework and “language-agnostic” website capable of behaving in a more mobile-like fashion. With PWAs, users can get accelerated loading speeds, access to feature such as push notifications, the ability to launch into full-screen and UIs with animations as fast as 60fps (aka buttery smooth). Think of PWAs as an upgraded version of your average, everyday, run-of-the-mill mobile app, or similar in theory to the mobile responsive website. With PWAs you get an optimized blend of the traditional browser experience and the mobile app experience. This is largely in part due to their pre-caching function. Since a portion of the data is stored locally, PWAs reduce reliance on a mobile network and maintain some aspects of their functionality even in cellular dead zones. As a result, you’re also getting the benefit of accelerated load times and lower data usage when compared with traditional mobile responsive websites. This is of great use, especially for those who have limited data usage on their mobile plans. Also, users with potentially unsupported browsers (i.e. internet explorer) can also benefit greatly from PWAs as the site will remain fully functional for them as well. They just won’t get the added benefit of the progressive enhancements. …And since they are able to interact with mobile device hardware, users can also gain access to all kinds of mobile functionalities generally associated with traditional mobile apps (i.e. push notifications). So, when are PWAs the best bet? Well, if you have an app which requires data or WiFi in order to function due to the fact that it has to communicate in real-time, all of the time, then a PWA is generally a better bet than a traditional app or mobile-optimized site. On the other hand, let’s say you’re a company really looking to maximize app-like features for your website. You’re gunning for the easy home screen app access, the high-quality, full screen functionality and the offline access. Well, then a PWA would be a great bet. Interestingly enough, you can thank Google for these nifty little guys, as the company was responsible for promoting the concept to developers back in 2015. The data? Well, companies such as AliExpress saw a massive improvement in conversions once PWAs were implemented. 104% across all browsers and 82% on iOS, to be exact. Did you know that an astounding 67% of businesses believe that chatbots will outperform mobile apps in the next five years? It’s not just businesses that are seeing the benefits. 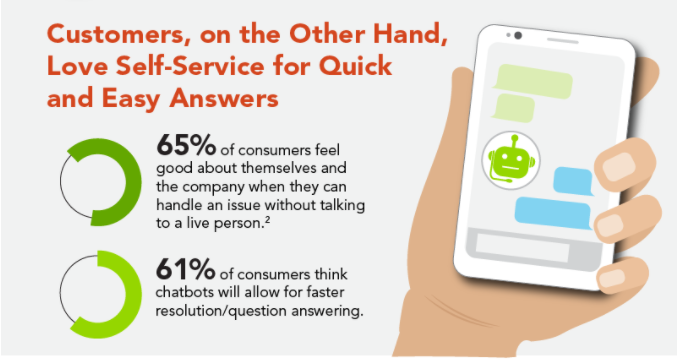 According to recent research, 48% of consumers “prefer to contact a company via live chat”, and even further, 95% feel that chatbots will be best for customer service. Believe it or not, bots have been around for going on a quarter century at this point in time (remember the days of screaming phrases into your phone 20x over for the machine to get it right? ), and with the ever increasing growth in AI technology and machine learning, they are becoming savvier by the day. Expect 2019 to bring more enhancements in functionality, a greater degree of seamless web interactions and thus significant improvements in the customer service experience and conversions. Let’s face it — we’re all in the race against waning attention spans and as users become more and more savvy by the day, it is in our best interest to remain as adaptable as possible. 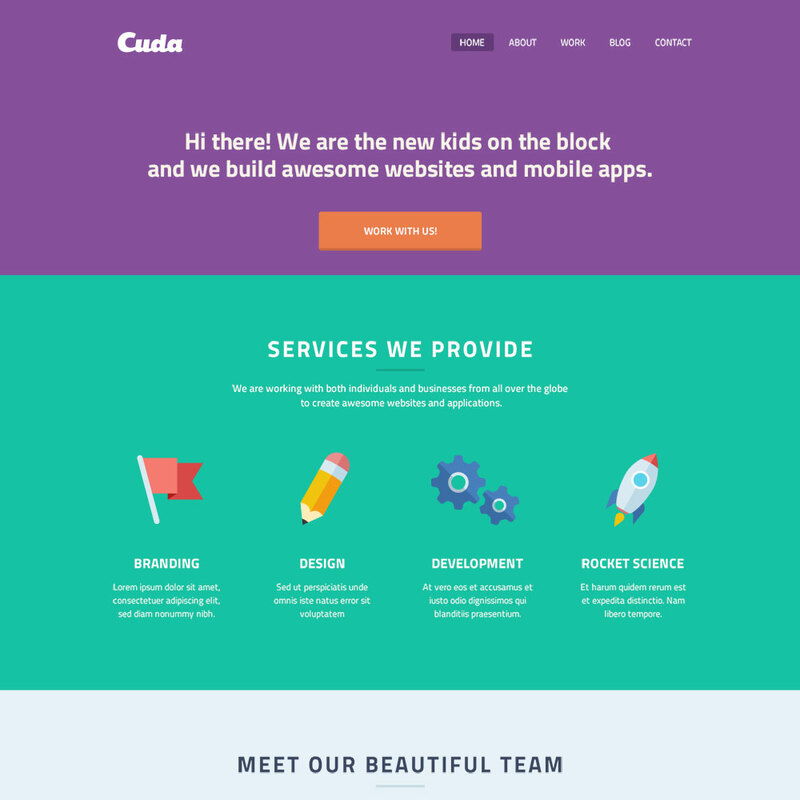 Behold, the single page website. Gone are the days where users are content with slow loading sites and fishing around on endless pages, tabs and links to find the information they’re searching for. I for one know that my heart skips a beat whenever I’m presented with a minimalist, clutter-free, single page site. Anything else quickly becomes tiresome, frustrating and extremely inconvenient, especially for mobile users. Speed – Single page sites offer the valuable benefit of accelerated loading times. Less pages means less data to download, and when 53% of your users will peace out after three seconds, this is a great advantage to have. Convenience – Less weight makes a single page website wonderfully simple to navigate and is thus, more efficient for the user. Increased user experience – Less bulk coupled with an increase in efficiency and aesthetics makes for a happy user. Higher SEO value – The most important factor when it comes to Google’s rankings? An exceptional user experience. According to recent research this year, the average loading speed for a website is 8.66 seconds. That’s 5.66 seconds longer than your user cares to wait. Additionally, the average webpage size is around 1.88MB, despite the fact that the recommended size is under 500KB. Furthermore, the average number of resources, the number of files a browser must download in order for your page to show, (i.e. css, html, images, scripts) comes in at a whopping 115.6. The recommended number? 50. If you’re looking to cut down on page load times, enhance the user experience and boost SEO, then a minimalist, single page site is definitely a sound option for you. PHP 7 was officially released in 2015 with the production ready version coming out bug-free just last year. There are several benefits to this new and improved version that have developers jumping for joy. 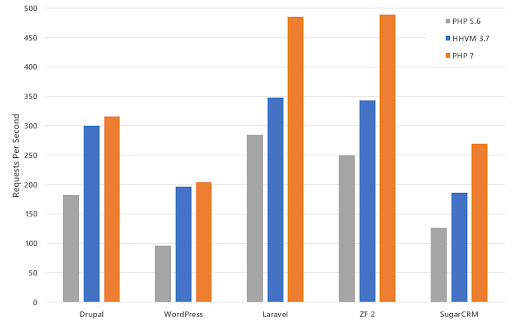 To date, it has the most powerful impact that we’ve seen with a significant decrease in memory consumption and marked improvements in performance using the Zend Engine PHPNG (“NG” standing for “new generation”). Benefits of PHP 7 include improved error handling, optimized memory usage and increased speed — almost double in some cases. There’s also the benefit of 64-bit Windows System support (previously unsupported) and the new three-way comparison spaceship operator and time-saving null coalescing operator. There is also Group Use Declarations for those wanting to import classes from the same namespace, four new types of declarations for scalar values (int, float, string and bool), serving to help developers “intensify the quality of their code” and it additionally enables developers to use OOP concept and anonymous classes. The overhaul and cleanup not only drastically increases optimization and speed, it provides greater security due to the fact that it removes deprecated functionalities in PHP 5 which have been out of use for quite some time. 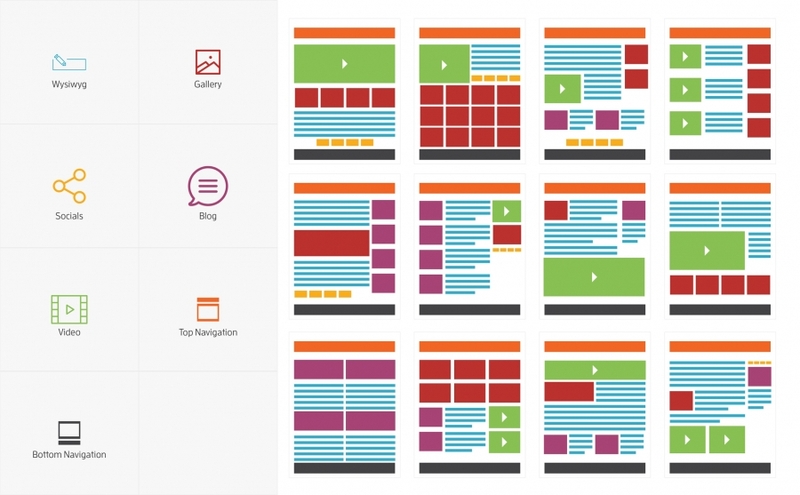 Anyone familiar with the CMS platform WordPress can thoroughly understand the benefits of modular design. It’s efficient, effective and can be used by even the most technologically inexperienced of individuals. Modular design is a breakaway from the traditional constricting template, allowing more freedom and flexibility for creation. We can liken it to building a website with lego blocks of content. The benefits of this awesome trend don’t end with creative freedom. The convenience of modules promotes efficiency and drives down web development costs while enabling greater creative freedom and a similar end-goal product as before. There’s no denying the powerful trend towards visuals when it comes to web design and development. A picture is worth a thousand words, and in a day and age where no one has time to read a thousand words, visuals reign supreme. Despite the minimalist trends in design and development, information rich infographics and visually halting video backgrounds continue to remain extremely popular and an effective method for increasing conversions. Throw an interesting video background into your page and people tend to stick around. The longer they stick around, the higher the on time on site metric rises (a valuable boost in SEO), and the more likely they are to convert. Micro-animations are also becoming increasingly popular at enhancing the user experience and holding the user’s attention. These are small animations which serve to help the user understand the site and also validate them when they take a specific action, such as hovering over something with their mouse or clicking on an element. Examples of micro-animations include an expanded menu popping out when the cursor hovers over a sidebar or text or other elements expanding or lighting up when they are browsed over or clicked. Let’s face it — we’re hard-wired to respond better to visual content than anything else. 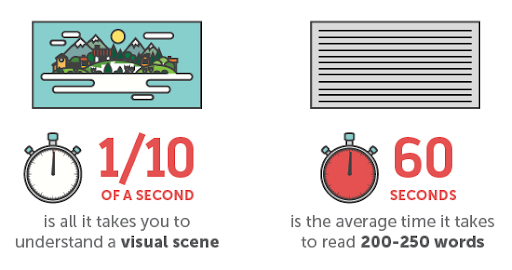 Not only are we quicker to recall it, but we’re more likely to share it and studies have found that even something as small as the “color visuals” of an infographic can “increase the willingness to read by a whopping 80%”. So get on board the train and focus on diversifying your content more in 2019. Thanks to Google and various technologies such as Siri, Cortana, Alexa and Echo, voice search is quickly becoming a standard in this day and age — which is pretty surprising seeing as how it was pretty much a ghose only 15 years ago. Did you know that from 2008 to 2016 “voice search queries multiplied by 35 times”? Furthermore, a whopping 55% of teens and 40% of adults have been found to use voice search on a regular, daily basis. Optimize your site for voice search by choosing a semantic strategy as opposed to a keyword-based strategy. Include a speech recognition API to your site. It only takes a few lines of code and both Google Chrome and Firefox support it. 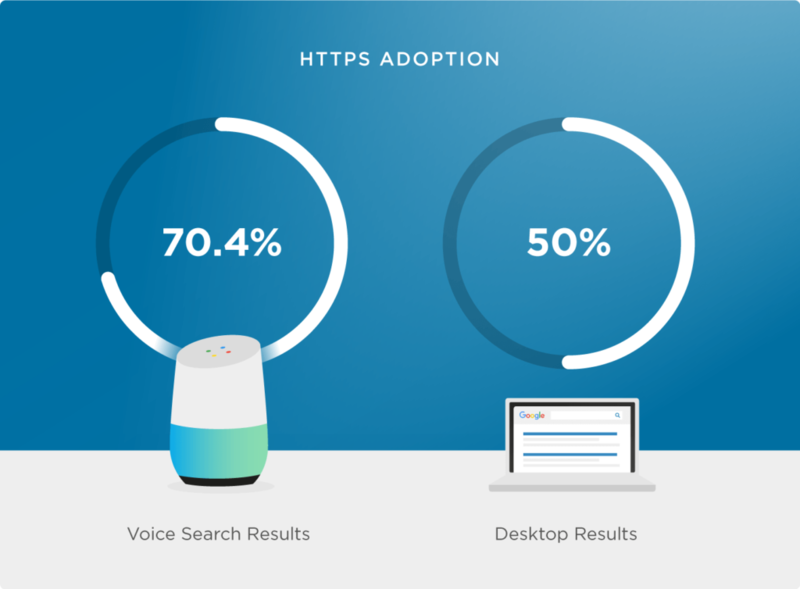 The same research previously covered also predicted an astounding 50% of all search queries are expected to be carried out via voice within the next year alone. This trend is absolutely undeniable and as the technology continues to advance, consumer all over are becoming increasingly more adapted to this awesome feature. SmartInsights found that 90% of a mobile user’s time is spent pursuing various apps. Furthermore, web push notifications are officially supported by most major browsers, taking up a whopping 73% of the market share — the result being that you have the potential to reach a massive audience of consumers, web or mobile-based, with push notifications. Push notifications are becoming more popular every day due to their efficiency and high degree of effectiveness. It’s a simple and easy way to get timely information to your consumers with their permission and help increase the customer experience and conversions in one easy step. 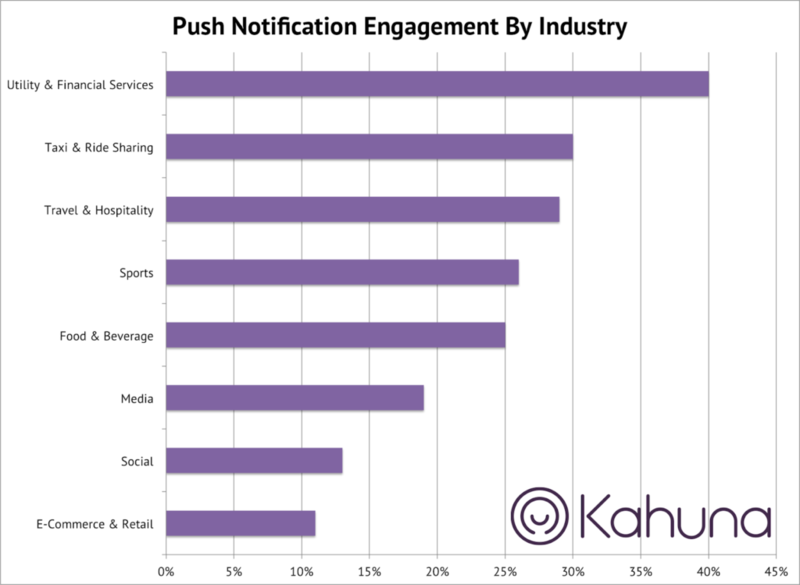 As you can see from the graph above, push notifications also have a high degree of engagement, mostly due to the fact that the consumer themselves must willingly give their permission in order to receive them. Whether your business uses a plugin or signs on to a push notification platform, there’s no reason why you shouldn’t be taking advantage of click-through-rates as high as 40%, deep insights on consumer behavior and real time communication with your customers in 2019. When it comes to web development trends, there are numerous ones in 2019 that businesses should do well to take advantage of if they already haven’t. Everything from progressive web applications to the new PHP 7 can help drive conversions and boost your bottom line. Awesome advancements in AI and machine learning also help to bring us enhancements in chatbot and voice search technologies, giving us greater abilities to communicate with our customers more efficiently and effectively, all while boosting the user experience. Which in the end, is really what web development is all about, right? What are some web development trends you’re looking forward to implementing in 2019? Are there any not currently on the list you’d like us to discuss further? Let us know!